A new world of Morai is now accessible from the Spirit Loyan NPC in Elysium village. You have to be level 95+ to enter. The new map is roughly the size of the Earthguard lands added in the Genesis Expansion. After you complete the discovery quest you can enter Morai through the Morai Guide found in major cities. There are 3 orders headquartered in the new map you can align yourself with to gain access to new equipment, items, and skills. Located in Corona Sanctuary in the South East of Morai. To join talk to Corona King Kisian and pay a 200k fee. Located in Shrouded Temple in the North East of Morai. To join talk to Shroud Prophet Mogo and pay a 200k fee. Located in the Nexus of Luminance mid North of Morai. To join talk to Luminance Lord Gugg and pay a 200k fee. Once you join an order you gain a new title above your name and the sigil of your order appears next to your portrait. Joining an order is the first step to acquiring new gears and skills. Each order has their own Prestige and Influence that is particular to that order. Both are acquired through daily and weekly quests. You can check how much Prestige and Influence you have by pressing the Order button in the character information window. Gaining prestige with an order unlocks access to new items and equipment which you acquire by spending influence and coins. Each Order has their own divine emissary. Before talking to the Emissary you have to pick up a Divine Order of Longevity from your Order's leader. This is what lets you get quests from the Emissary. You can pick up 2 white Divine Quests per day or 1 purple Divine Quest (same total prestige either way). Once a day you can pick up a timed quest from the Lieutenant of your Order. This quest must be completed in one hour and awards 25 prestige and 10 influence. The leader of your order will offer you a Wraith Slayer Missive. For a squad with at least 1 member from each of the other orders and the squad leader can pick up a Wraith Slaying quest from the order leader. Completing this quests gives 60 Prestige and no influence. This can be done once per week and resets early Monday at midnight server time. There is a weekly public event every Saturday at 6:30 PM server time available from your Order's Lieutenant. Collectively 300 mobs have to be killed followed by a boss. Every order has their own separate public quest. You need a minimum of 100 contribution points to get the award of 80 prestige and 30 influence. Everyone that does this minimum or better will receive the same reward regardless of rank. When you have reached 580 prestige you can buy a badge from your Order's Chief for 150 influence to help you acquire prestige faster. There are 3 grades of badges available: +80%, +50%, and +20%. These badges only work in a particular order and choosing a badge type will make that type unavailable for the other 2 orders. To leave an Order you have to talk to the leader of that order. Once you leave you sacrifice 5% of your accumulated prestige and influence with that order and can not join another Order for 1 day. You cannot leave another Order for 7 days after you leave an order. 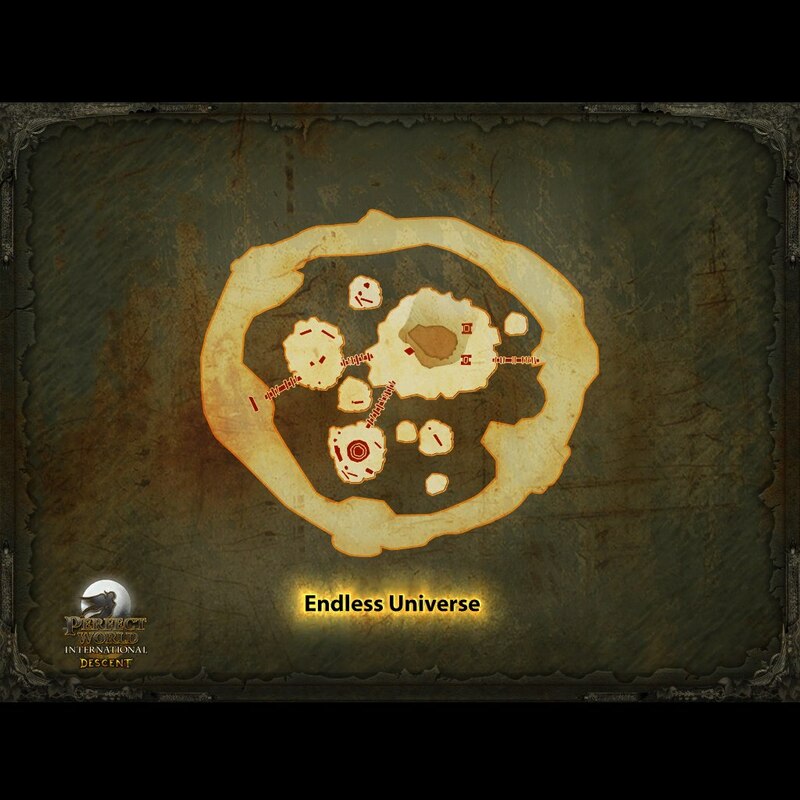 A new instance is accessible in Morai called Endless Universe accessible from the Altar of Shades. You can enter this instance with a 10 person squad! This is a ONCE a day instance. You must enter Morai, and complete the complete list of YELLOW Legendary quests. If you're having problems finding them, check your Available Quests section of your Quest Log. Upon completion of the last quest on the chain, you will be asked to visit the Elder of 1000 Streams. When you do, be sure to pick up the Purple quest from him. Reenter Morai and follow its chain. It will bring you to the entrance npc of the new instance. Be sure to have "[Tuc Su Toxin]" in your inventory. Do NOT enter the instance until you have assembled a squad for this. It's once per day, and you will not be allowed back in if you leave after entering once. You're ready to find a squad. You MUST have at LEAST 8 people in order to start this new instance. At the end you are rewarded with either 360k xp or a chest with a chance of holding the new G13 PVE gear. The benefit from these do not simply add with normal attack levels. The benefit multiplies. So if you get +30% damage from normal attack levels and +40% damage from slaying levels, together you won't have +70% damage (addition) but instead you will have +82% more damage since 1.3 * 1.4 = 1.82. In general this gear comes with low base stats but the Slaying Levels and Warding Levels make them pretty good for PVE. The refinement bonus is pretty good but due to the low base stats these are probably unsuitable for PVP. The new equipment comes in 3 grades, this gear can not be traded or account stashed..
G12 - You get this set for free from the yellow discovery quest. The weapon comes with +45 Slaying Level. G13 weapon = 3% chance, G13 armor = 17% chance. The weapon comes with +50 Slaying Level. G15 - You can get this gear from your order. The full set is unlocked after obtaining 5,000 prestige. This gear comes with random stats that you can reroll by buying reroll mats with influence. The quality of the random adds is pretty high, it's on par with Nirvana G15 but don't expect to see any -interval anywhere (except for a -.05 set bonus). All of the weapons come with +60 Slaying Level. You unlock more and more of this gear as you accumulate Prestige. The "cheap" skills can be bought from the "basic" supply NPC near your order's leader. They are available under the Tier 1 sales tab when you have 40 prestige and cost only 15 influence + 105k coins. You can get this the first day! You can use an alt to acquire these skills fast if they are from an order you are not otherwise interested in. They all have a level 80 requirement. Other skills come from the "advanced" supply menu from your order's "lieutenant" under the Tier 2 tab. These skills take much longer to get. They require 3,500 prestige and cost 675 influence (no coins). It will a few 6 weeks of Divine Quests / other dailies for that order to acquire these books and they can not be traded or account stashed. These have a level 100 requirement but still only require the level 79 cultivation. The last set of skills can be found in the final reward from completing Advanced Endless Universe. Each book has a 0.2% chance to come from the final chest. These books are random but all are tradable. Can gain prestige at +80% / +50% / 20% rates. One type per order. The summoned mob has a chance to drop a higher level map or rare materials for g12 / g14 ornaments (crafted at the Treasure Hunter). The mob gets progressively harder with higher and higher level treasure maps up to map level 5. The 5th mob is difficult and you may need a squad to help you kill him but he drops the rarest and most expensive mats. The squad limit has been raised to 10 but not for old instances. The only real instance that supports 10 people is the new "Endless Universe". You can also have 10 man squads in the world map, in shared maps like Lothranis and OHT, and in TW. There is a new rare pet in Morai that is a very good DD pet, second only to a pheonix. It's a bone dragon called "Derjan's Ancient Hatchling" patrols the area (354 538), (346 528), (362 544) in the area called "Derjan's Rest". The respawn time is 24 - 48 hours and the pet can not be traded or account stashed (so it's unlikely it will be camped). There is a new daily with a chance at some incredible prizes. To start it you must talk to the new Envoy NPCs found in starting areas / arch. Talk to the Lucidsilver envoy between 8:00pm and 9:00pm server time for a free Lucidsilver Chest after a 30 minute wait. Talk to the Lucidgold envoy between 9:00pm and 10:00pm for a free Lucidgold Chest. These chests have a small chance at some incredible prizes. Not quite done with this but will add more stuff laters. So any changes that you guys noticed, anything in the patch that should be elaborated? Any new bugs? One thing that is noted is that the slaying level items gained from the morai order people is equipped in same spot as jones blessing. Some new items gained from orders are equipped in jones blessing slot. Fairy Boxes now require a key to open, obtained from doing your BH1. You get 6 keys from 1 BH. So if you have an alt to open boxes, make sure you are doing that alts BH. Aurora NPC has a quest cap of 10, at the moment is something that is going to be limited time only. Abba boss has a reverse BP buff that heals it the more damage it takes, also allows it to deal greater damage. Buff looks like two red circles. You can purge the healing buff, but not the anti-aps buff. Genesis Music replaced fly with me again. New Vile:Snakeguardian Boss turns people into frogs, during which time you are unable to cast skills. Also casts absorbing array, so it absorbs some of the party's heals. BB is not cancelled when you are turned into a frog. True form for barbs however is cancelled. They increased difficulty in soloed Pavilions, definitely. The head now has a random purge and 1 shot (hit r9 full vit barb for 47k, so really, 1 shot 1 shot) so you MUST kite it. Some of the mobs now random buff themselves and it seems a few more do a suicidal explosion which can be nasty for any melee. The bosses are the same, though. They already had that before as well. If you killed mobs when they spoke, they dealt massive damage upon death, now is the same. Just seems the time when the speak is shorter, could be the same, but I am too distracted to notice. Natural Synergy CD reduced from 180 to 120 seconds. Upgraded Blade Tornado increased damage from 200% to 450% and reduce Cooldown from 300 seconds to 180 seconds. Upgraded Time reversals CD reduced to 45 seconds from 60 seconds. Ice Prison skill cooldown reduced 180 to 120 seconds. Purple Dance no longer reduces HP. Upgraded Purple Dance adds HP (based on level). Cooldown of DQ drop skill reduced to 20 seconds. Fixed additional stealth levels gotten from squad stealth skill. Blademaster: Surely you mean Sword Cyclone? Seekers voidstep has had its cooldown reduced from 180 sec to 90 as well. Seeker's Last Stand has had it's channel made instant now. Advanced AU requires a new set of yellow quests to be completed in order to do. You should get a pop up while in Morai in order to start the quests. When you talk to an NPC to turn in a part, talk to them again if no new quests pops up as the next step doesn't always appear in available quests. Mystics/Veno gets notice when summons/pet enter/leaves safe zone. Crystalspine Garuda got a size increase. Exclusive Garnets are called sage/demon ones now. Appears to still give the same item. Advanced Bosses in Lunar and Snake drop untradeable molds. Everyone in squad however gets a badge for facing the boss. You will need two of any given mold + certain number of badges to craft the new gear. New gear slots are for new items that increase your prestige faster. These items have a set amount of extra prestige that they give you. It's 2 Florafangs (one at either end) with 4 flower adds each. The charmeca flowers are completely passive unless attacked. The Florafangs (and any flowers that have been killed) will quickly respawn when killed, but they are avoidable. NPC at Order HQ gives 2 week time limited fashion for 240k+influence. elementclient.exe has been broken. The memory leak that the client has suffered for ages is worse. When the client CTD's without error, the process will lock and not get cleared from running processes. It sometimes requires a complete reboot to resolve this as killing it is ineffective. On low-end to mid-range video cards, there is a much higher percentage of graphical glitches and neither the card manufacturer or the driver version seems to make any difference. I'm speaking from 25 years of software coding and hardware experience, I have 10 different systems that I test this on in various environments. I have delved into the actual code of the server and the specific client files for over a year now, I've even submitted code fixes to the dev's. This is complete information about all the new skills added except for some MP values. Arrow Inferno - Gained from Order of Luminance - NOTE: Same icon as Diminished Vigor, can't be purified. 250% gear Attack and 1500 points of physical damage. charm cooldown by 3 seconds. Lasts for 30 seconds. Ataraxia - Gained from Order of Shroud - NOTE: Flying and Swimming speed are 0m/s while running is 0.1 m/s. Speed debuff can't be overrun or resisted. Jumping up and dropping down from flight is still functional while stealthed as are leaps. Single, double, and triple sparks all knock you out of stealth. Stealth level by 31 points. Costs 50 Mana per second. Movement speed reduced to 0.1 meters per second. Blazing Arrow or Spark Burst will cancel the effect. Instantly jump to your left by 20 meters. Instantly jump to your right by 20 meters. Enhance yourself with an electric current. depending on Soulforce, for the next 20 seconds. After casting, you will recover 100 Chi over 10 seconds. damage, plus 3200 physical damage. Requires 1 Spark to cast. depending on Soulforce, for the next 30 seconds. Violet Dance - Gained from Order of Luminance (Cheap and Tradeable) - NOTE: Violet Dance mode disables the 5 main heals, Purify, Revive, BB, RB, and the AoE Squad Buffs. While in VD mode you can't change equipment (similar to being in Fox Form / True Form). Assume a violet form enveloped in flowing shadows. on your Soulforce. Enables the use of special spells and abilities. Violet Dance status. Max HP is reduced by 10%. Increases Magic Attack gained by equipment by 40% to 80%. equal to 10% magic attack plus 675. This aura lasts up to 30 seconds. Effect is stacking. your soulforce compared to your target's soulforce. To same level characters, minimum 2000, maximum 18000. No effect on characters 5+ levels higher than you. plus 675. Lasts up to 30 seconds. Effect is stacking. receive critical strikes by 15%. Protects your target's life with a divine blessing. For 8 seconds, your target will be immune from a killing blow. Recovers 50% of target's HP upon successful protection. The gods smile upon clerics for their protection of others. When a great cleric dies, the gods themselves intervene. No EXP penalty upon dying. Bind a thunder charm to your target. equal to your magic attack. Lasts for 1 minute. Increases Magic Attack gained by equipment by 60% to 100%. Reckless Rush - Gained from Order of Corona - NOTE: This is really a paralyze and not a stun. The damage does not appear in the damage log so this won't zerk or crit. Charge instantly to your enemy, stunning it for 3 seconds. Deals physical damage equal to 50% base physical damage. When enemy's HP is lower than 40%, deals 3 times damage. Requires 50 Chi to cast. every 3 seconds. Lasts for 12 seconds. Damage is equal to 200% of weapon damage. Reduces enemy movement speed by 30% for 3 seconds. cannot use skills, genie skills or other attacks. Recharges 2 Sparks over the 12 second duration. Requires 3 Sparks to cast. Pull the enemy toward you. depending on both players' Soulforce. Available when HP is lower than 40%. 100% weapon damage and 3500 physical damage. Requires 1 Spark to cast." 2500 to 6500 physical damage, depending on Soulforce. cannot use skills, genie skills, or other attacks. the target to return to that location in 6 seconds. 60% to a maximum rate of 100%, dependent on both players' Soulforce. Can only be used on players. the target to revert to that amount 6 seconds later. Reduces the chance of suffering a critical hit by 5%. Arcane Defense - Gained from Order of Shroud - NOTE: Only triggers from melee normal attacks, not skills. Can't be purged. Purifies all negative status not just one. be removed. Lasts 5 minutes. Effect can occur once every 25 seconds. Requires 30 Chi to cast. Ice Prison - Gained from Order of Luminance - NOTE: Targetless AOE similar to Edged Blur. Can knock sins out of stealth even in SZ. to freeze enemies for 2 seconds. Frozen targets suffer 130% damage. Frozen effect works like stun, but can stack with stun. Requires 2 Sparks to cast. 40% to a maximum rate of 80%, dependent on both players' Soulforce. Cannot be used on players 5+ levels higher than you. than once every 8 seconds. for 10 seconds. The doll lasts for 12 to 28 seconds. The effect is reduced against enemies 5 levels higher than you. The doll's damage range is 45 meters. Bewitch - Gained from Order of Corona - NOTE: Can be blocked by Tidal Protection. The seal effect is separate and can be resisted. Transforms the target player into a puffbird for 6 seconds. Puffbirds can take no actions other than movement. Monsters become unable to use attacks or abilities. Requires 50 Chi and fox form. Reduces the target's Chi by 150. Natural Synergy - Gained from Order of Shroud - NOTE: Increased physical attack buff overbuffs Claw. Requires pet to be summoned to cast. Increases your pet's attack power and accuracy by 100% for 10 seconds. Also makes you and your pet immune to movement debuffs for the duration. Your pet must be within 35 meters. Blazing Barrier - Gained from Order of Luminance - NOTE: Reflects all physical damage, not just melee. reflects 100% of all melee damage back at the attacker. Berserker's Rage - Gained from Order of Corona (Cheap and Tradeable) - NOTE: The damage specified in the description is a typo, it seems to be much less. maximum success rate is 100%. Has no effect on enemies 5 levels higher than you. them to attack you for the next 6 seconds. Prevents them from targeting anything else. weapon damage plus 1200 physical damage. Generates a massive amount of threat. 20 times and lasts for 60 seconds. Small amounts of damage will not trigger this effect. Marks you with the strength of the beast for 150 seconds. and removing all negative effects placed upon you. Telekinesis - Gained from Order of Luminance - NOTE: Tekekinesis damage does not show up in the damage log, is not effected by attack / defense levels, can damage through IG / AD. Mentally command the earth itself to attack your target. and 130% base weapon damage plus 6475 earth damage. Spirit Phalanx - Gained from Order of Shroud - NOTE: The stun is a special icon that can not be resisted but it can be removed with Badge of Courage. Counts as a positive buff so it can be cast through IG / AD in PK. Ignores neutral buff filter. Heal is done over time. Creates an impenetrable shell of psychic energy around the target. actions. When the effect ends, the target will be restored to 100% HP. Warning: stops a catapult from following the target in Territory Wars. Makes all squad members within 12 meters untargetable by enemies. This effect lasts between 5 and 9 seconds depending on Soulforce. Psionic Link - Gained from Order of Corona - NOTE: Only redirects skill damage, not normal attacks. Also redirects negative status effects and purge. Redirected damage can be blocked with AD/Ironguard. target can still trigger Soul of Vengeance, Stunning or Silence. Allows you to summon party members to your location. Can only be used while in the main world map. by enemies. The effect duration is determined by your Soulforce. Lasts a minimum of 3.5 seconds and maximum of 7.5 seconds. Cannot cast on a squad member 5 levels higher than you. Share the Stealth - Gained from Order of Shroud - NOTE: Gives 30 stealth levels. No longer stacks with passive stealth skill. Stealth has 0 MP/s usage cost. Any squad member already in stealth is knocked out. into Stealth mode for up to 5 seconds. Spoils of War - Gained from Order of Luminance - NOTE: Target drops up to 4 full stacks of DQ. Safety Lock does not stop dropping. Causes target to drop Dragon quest items upon death. Amount dropped is determined by the target's level. Cannot use on a player with a Guardian Scroll. inflicting base physical damage and poison. A true assassin values knowledge. Allows you to peek into your target's inventory. depending on your Soulforce, to your target. Range of effect is 45 meters. to the caster of this spell for 15 seconds. The amount of healing redirected is determined by the Soulforce of both players. When the Soulforce of both players is equal, 25% of healing is redirected. Against a player of your level, the healing redirected will be between 15% and 35%. This spell is not effective against enemies 5 or more levels above you. For a period of 12 seconds, the HP of all party members will recover every 3 seconds within a 20 meter area. by 25% of you Magic Damage, plus 783 HP. to the caster of this spell for 40 seconds. When the Soulforce of both players is equal, 30% of healing is redirected. Against a player of your level, the healing redirected will be between 20% and 40%. with healing skills by 20%, and the amount of health restored by healing potions by 30%. providing them protection from death for 30 minutes. The EXP loss of revived party members is reduced by 95%. HP and MP of revived party members is recovered by 50%. Mystical Eye - Gained from Order of Shroud - NOTE: Brings up a small window that shows you the names of stealthed characters. Does not raise detection level or let you see / target them. Able to detect all stealthed targets within 50 meters. to the caster's level will be forced out unless a party member is stealthed. plus 3681 to all enemies within 12 meters. Absorbs a large amount of HP and increases Threat. Sacrificial Slash - Gained from Order of Shroud - NOTE: The positive and negative effects are separate and the negative defense level debuff can be used with Quid Pro Quo. increasing your Attack Level by 50% of reduced Defense Level. Defense Level is reduced by at least 20. Summons two Spirit pets to aid you in battle. The Spirit pets fight by your side for 60 seconds. Attack power of the two Spirit pets depends on your Soulforce. Transposition - Gained from Order of Corona - NOTE: Only works on enemy players in PVP, no use in PVE. Allows you to switch positions with any enemy target. Success of ability is determined by the soulforce of both you, and the enemy target. If the soulforce of you and the enemy is equal, the sucessful rate of this skill is 70%. If the level of you and the enemy is equal, the sucessful rate of this skill is between 40% and 100%. Increase your Awareness level by 31. Lasts for 8 seconds. The Spirit pets fight by your side for 30 seconds. striking all enemies within 5 meters of the target. Critical Strikes by %d percent. Chance is determined by Soulforce. causing physical damage equal to twice the Angels' physical attack. Chance to stun for %.1f seconds, based on Soulforce. The Angels whirl and dance, striking enemies within 5 meters. Damage is equal to twice the Angels' physical attack. Strength of the attack is determined by Soulforce. -Telekinesis IS affected by attack and defense levels. Also has a chance of dealing 1.5x damage (non-crit) with 2 times the critical hit chance of the user. -If Spirit Phalanx is casted on a vortexing Seeker, BB Cleric, DB Wizzy, and BoA Archer make them stop channeling. Haven't got any info about whether Spirit Phalanx will break BM's Sword Cyclone/Blade Tornado since BM who channels BT is immune to freeze/slow/sleep/stun that comes with the skill. Although Spirit Phalanx DOES NOT prevent stun by using anti stun skill/apo in advance such as fortify, AD, vacuity powder. -Summon doesn't need to be hotkeyed. All you gotta do is right click on the squad member on the squad list and click on summon. -I don't have Shroud of Shadow yet. But, Veil of Shadow is pretty junk and only good to look for its animation. Basically, it gives new buff that makes you untargetable by enemies (PvP only I believe) and the character goes into stealth mode (invinsible character). -I don't have Psionic Link so I can't say much about the skill. -Mass Ressurection has 15 minutes cooldown. A revived person with this buff would revive with 50% hp and mp and -5% exp out of the supposed exp lost if the person didn't have res buff and just ported to town. -Invigorate buffs loses whenever you switch map/instances. For example, going from Archo to OHT and vice versa will cause you to lose Invigorate. Invigorate stays when you port in between the same instance. For example, going in between rooms in TT 2-3. -Verdant Blessing doesn't make hp/mp charm ticks faster. Gonna have to confirm this since I don't wear charm in ages. -Mystical Eye lists the stealthed players nearby. The list is 50 meters aoe range, but only force stealth anyone with same level or under inside 25 meters aoe range. Not sure if Mystical Eye will force same lvl sin using demon/sage shadow escape out of stealth or not. -Transfusion/Sublime Transfusion. It's kind of a junk skill imo. I used it against a cleric in NW, but I barely heal anything (yes, the cleric heals as well). The spark cost isn't worth it. Might as well just 2 shot the cleric with NV -> AS. **When you get to level 95, a yellow quest will pop up that tells you to go to Morai. You can't use the teleporter in Archo and other main cities yet. You need to fly to Elysium Village and starts from there first. **You don't need to do this quest to join orders. All you need is go to the order you want (Luminance, for example). Click on M and check where is Nexus of Luminance. Fly there and talk to the leader or whatever. Pay 200k to join Luminance. Once joining, you can't leave for 1 week (it's calculated based on 24 hours x 7). Once you join, you can do the daily quests consist of: 1 timered quest (1 hour timer) and 2 white divine order quests or 1 purple divine order quest. The timered quest give mystical pills and reflective shard. -Wizard Slave (kill 20) --> pure magic mobs, runners. Don't use melee pet to kill as they keep running. -Glimmering Specter (kill 20) --> pure melee mobs. Just use plume shell and WoP on cleric. For Veno, it's a no brainer. They fly low so just attack from the ground (you won't get damage reduction attacking from ground). -Crimsonbull (kill 3) --> pure melee mini boss. Need to kill 3 of them. Just tank with pet, they don't hit hard. If I were you at level 95, I just pick easy farming quests. If somehow you don't get a choice to do farming, pick the mob quest closest to Nexus of Luminance. I usually do 5 of the mobs above. Virulent is a poison magic mob, so it might be easy for cleric. Noctilucent and Sadistic are pure melees (maybe better for Veno). Hellish Bat are flying magic mob (again, they fly low so you can attack from the ground). Iridiscent Beetle are pure melee-no auto aggro mob (you can sit next to it and not getting aggroed by mob as long as you don't attack it). -Divine Orders white: (can't remember on top of my head. Haven't been in Corona for months).